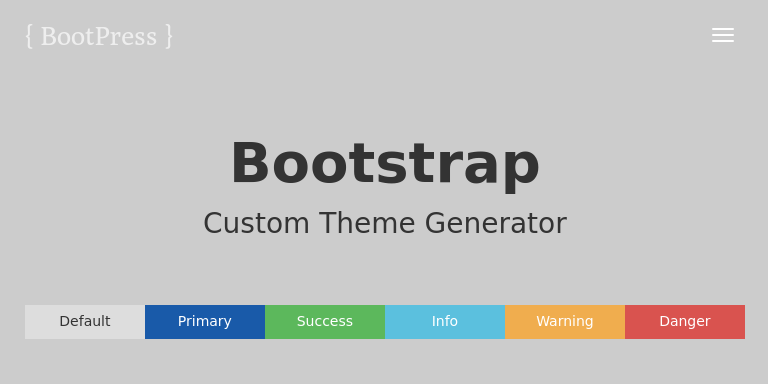 Download and customize these free Bootstrap themes - designed and built with all the love in the world by fellow artisans. 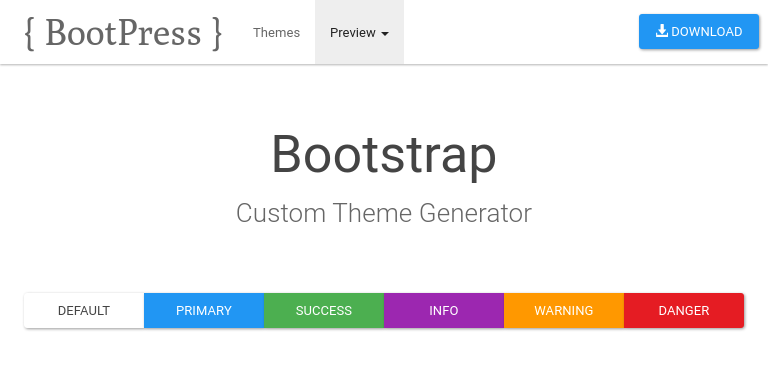 These themes are hand curated for your downloading pleasure. 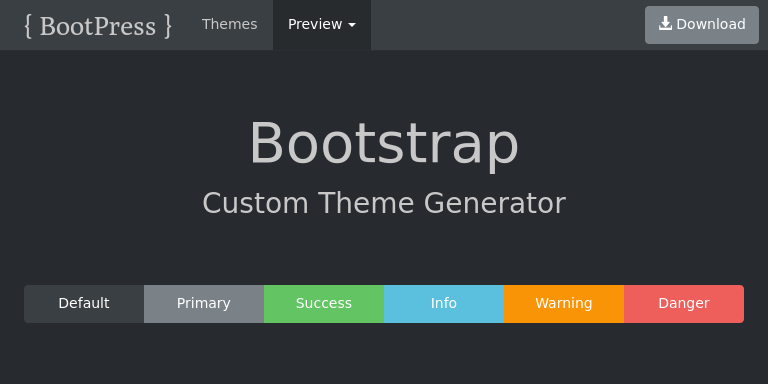 They are constantly being tweaked and improved by designers like you. 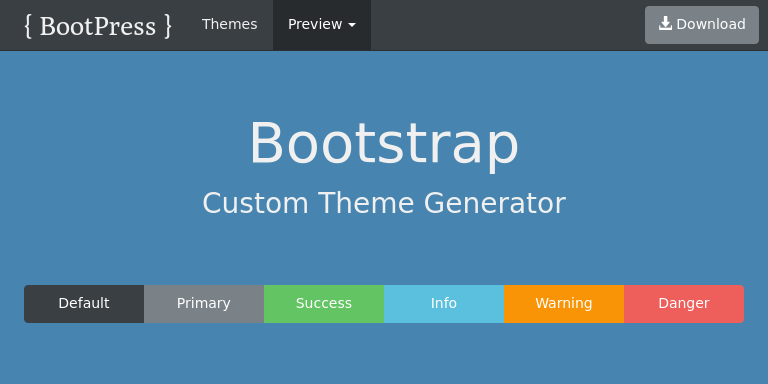 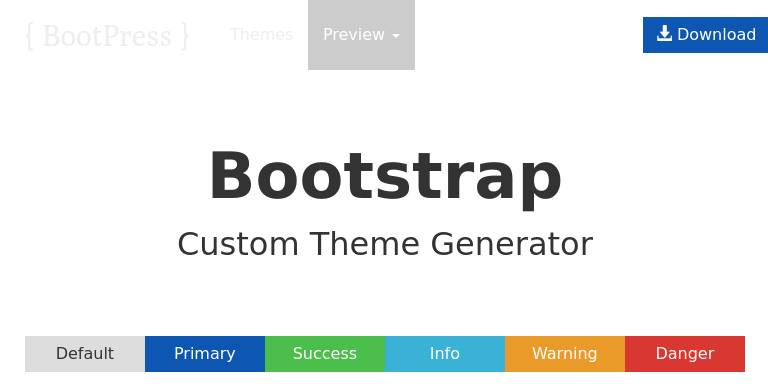 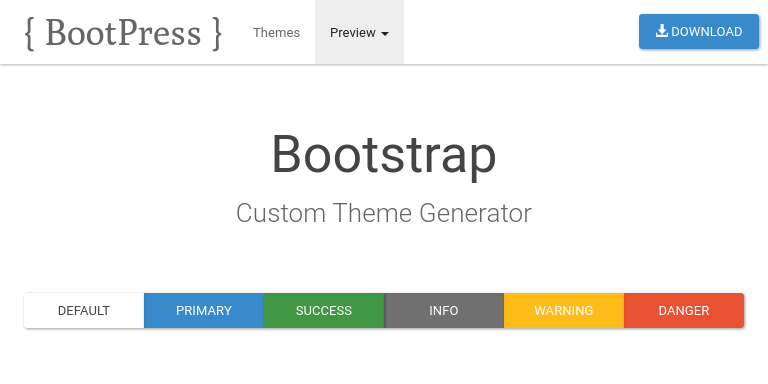 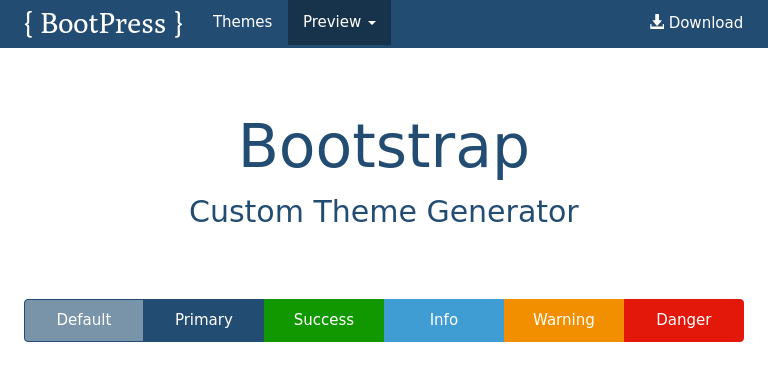 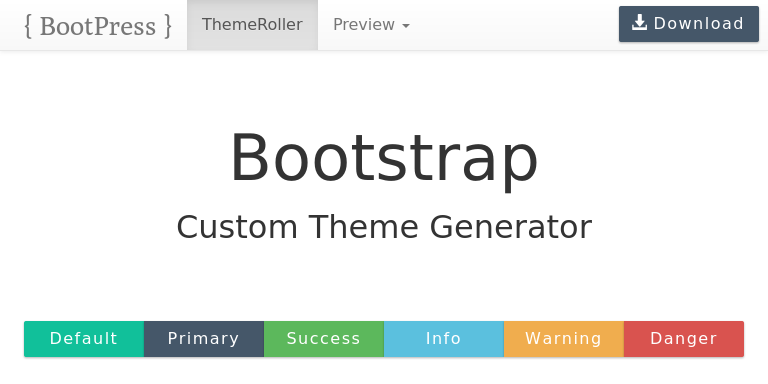 Select a Bootstrap theme below to edit, or start a new theme from scratch. 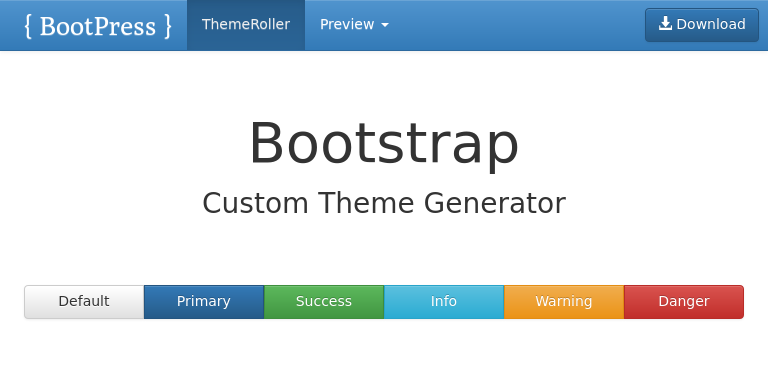 You can also bring any variables.less file you have found out in the wild, then copy and paste it into the ThemeRoller to make it your own.